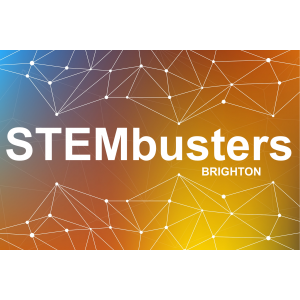 STEMbusters is an informal social meet up group for those involved with STEM/STEAM communication, outreach and public engagement activities in Brighton & Hove and the wider Sussex region. (STEAM = Science, Technology, Engineering, Arts & Maths). We meet once a month at C:\Side Quest Cafe on Brighton seafront to discuss ideas and what’s going on locally with STEM/STEAM events. Attendees are encouraged to talk about and/or bring along any projects they are working on; previously we have had a play with squishy circuits, fabric origami, remote-controlled mini-drones, science card games and more! Drop in anytime from 7pm onwards, we’ll be at one of the big tables. Let us know if you’re planning on bringing an activity, or want to chat about anything specific. Location: C:\Side Quest Cafe, Unit 11, Lower Promenade, Madiera Drive, Brighton BN2 1ET (Google Map). C:\Side Quest is located on the lower beach promenade between the zip-wire and pier and is fully wheelchair accessible. Coffee, bar & food available.